The President of the European Parliament commented on the recent situation with Catalonia that is seeking independence from Spain. BRUSSELS (Sputnik) — President of the European Parliament Antonio Tajani stated that the EU member-state's constitution violation is equal to a violation of European law, said on Wednesday, commenting on the situation with Catalonia seeking independence from Spain. "For my part, I have already publicly stated that the constitutional framework of a member state is part of the legal framework of the European Union. Their respect must be guaranteed at all times … Any action against the constitution of a Member State is an action against the European Union’s legal framework," Tajani said in a written reply to a question from EU lawmaker Beatriz Becerra. Tajani added that as for the European Union itself, "the Treaties are clear, it must respect the constitutional arrangements of the Member States and the essential State functions deriving from them." 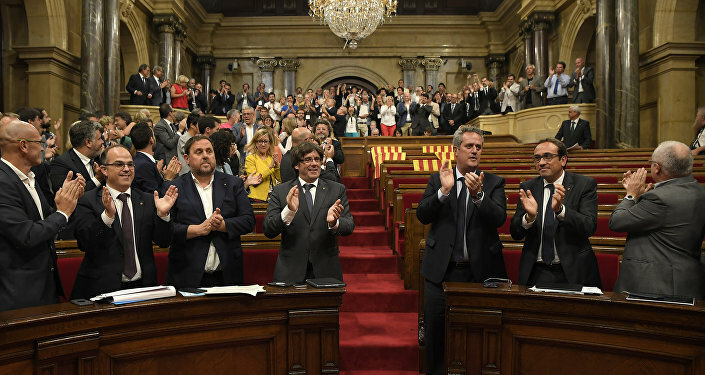 On Wednesday, the Parliament of Catalonia passed a bill enable an independence referendum to be held on October 1. The Spanish government claims the bill illegal and has already announced that it will challenge the legislation in the Constitutional Court. Catalonia has been seeking independence from Spain for years. 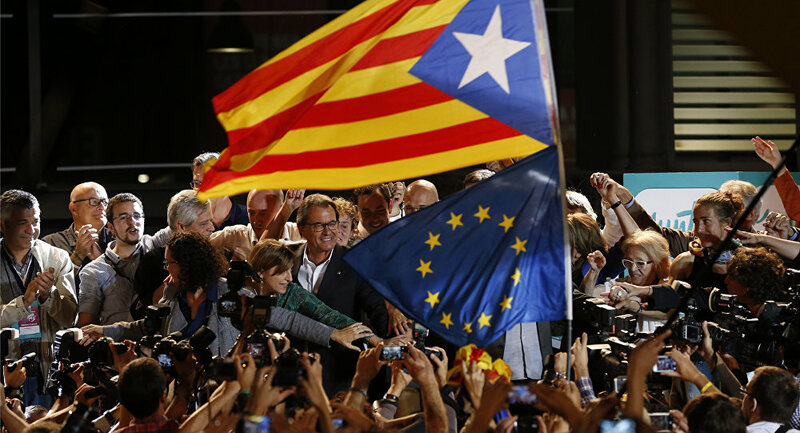 On November 9, 2014, about 80 percent of the Catalans who took part in a non-binding referendum on the region's status as part of Spain voted in favor of Catalonia becoming an independent state. However, the independence vote was ruled unconstitutional by Madrid.